Renata is a very popular and talented watercolour artist. Her well organized workshops and great knowledge of art together with her lovely personality, makes her classes very popular. Her workshops are very relaxed and the artwork that results from these workshops are amazing. These workshops fill up fast. 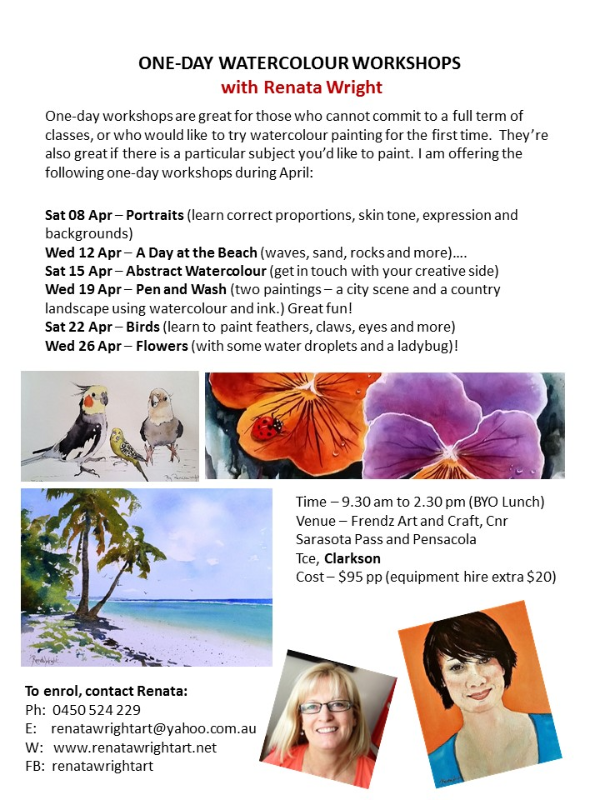 Please contact Renata to book your place in a workshop: +61 (0) 450 524 229 or renatawrightart@yahoo.com.au. You can look at her work on her website www.renatawrightart.net.